All staff members are considered employees in TimeForge. 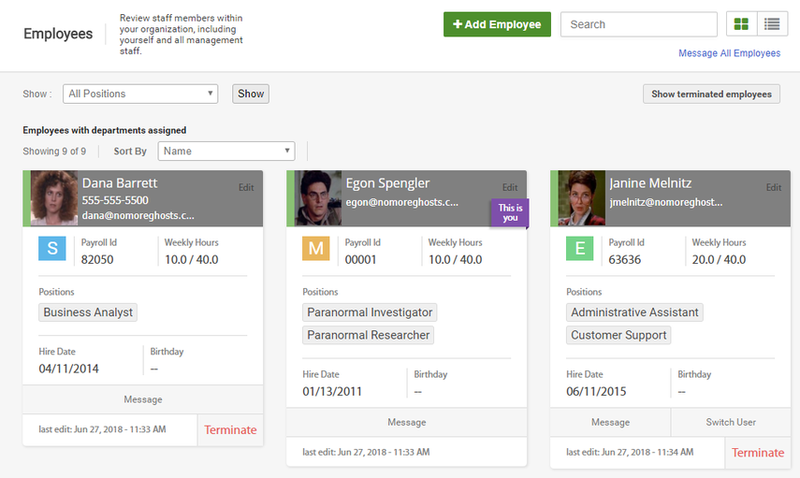 Employees are defined across 3 categories (employee, supervisor, or manager) in the TimeForge system. More specifically, if a staff member can log in to TimeForge, can be scheduled inside of TimeForge, or can clock in on TimeForge (or with a 3rd party plug in), then that staff member is considered an “Employee” by TimeForge. 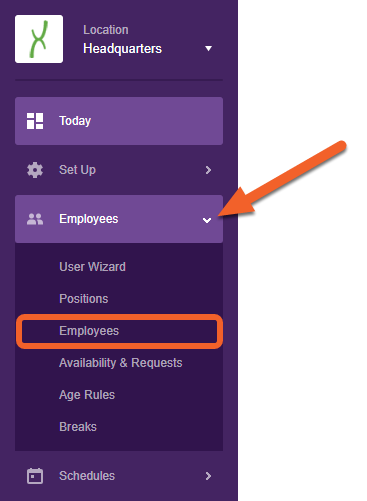 Account owners can add, edit, and terminate employees from the Employee List page. If you have multiple locations, first go to the Location level for a particular store, then open the Employees tab. Select Employees from the sub-menu. What about from the Corporate level? You can also view a company-wide employee list from the Corporate level if you have appropriate permissions, but you won’t have access to certain features, such as the ability to message all employees or import data. 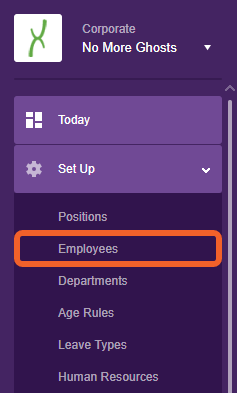 To view your employees from the Corporate level, open the Set Up tab, then select Employees from the sub-menu. From this page, you can view and edit important details, send individual messages, or even message all employees at this location. If you have the appropriate permissions, you can also Terminate employees, as well. 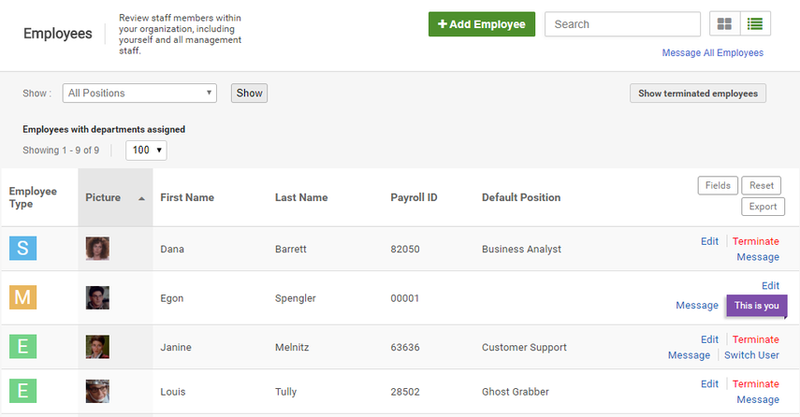 Your employees will be shown either in Grid view or List view, depending on your settings. If you’re using a new account, you may see Grid view by default. Read our quick guide to learn how to easily swap between the two different views.